As you read and after a lot time of pressures. The CEO of Sun MicroSystem, Jonathan Schwartz, has officially announced that they will offer Java under a license approved by the Open Source Initiative. The term about they think to take it to end is 30 to 60 days, in other words for Christmas Java will be an Open Source platform. It is necessary to mention that Sun’s decision was a discontentedly one, as a result to the pressure got for a group of developers (Tim Bray, Simon Phipps and Graham Hamilton between others) and IBM, who thought to initiate a Java opened version and distributed it under an Apache 2.0 license. 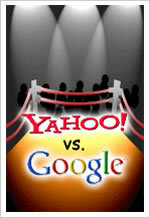 The impetus of Google in developing their Internet strategy is motivating the two other Internet giants. Steve Ballmer, Microsoft CEO, has declared that with Google itâ€™s difficult to find and to incorporate new and better talents. Thatâ€™s why, they have decided to increase their next year budget for research and development to 7.5 billion dollars, which are 1.3 billion dollars more than they declared a few months ago behind, in May. By the other hand, today Yahoo has realized an acquisition and an investment. They know that the competition in Internet has increased and are prepared for it. In addition, for almost one month, Yahoo is in conversations to acquire Facebook (for 1 billion dollars); even when these conversations have cooled because Facebook requests a higher offer. It turns out that four months ago the freelance journalist Trent Lapinski received the order, for an On-Line, of writing an article about MySpace. After he fulfill the researches and done the interviews, the owner of the Online newspaper (names have not been revealed) received News Corp’s threats. (Current owner of MySpace, of property of Ruphert Murdoch) that inquire not to publish the investigation, for being totally groundless. Making the software that makes chips gives Synopsys’ Aart de Geus unique insight into where all of tech is heading. Aart de Geus is one of the most insightful people I know in the technology industry, so I was happy to sit down for lunch with him this week. De Geus is CEO and co-founder of Synopsys (Research), a company that sits at the intersection of just about every trend there is. That’s because it is one of the two main makers of the software used to design most of the world’s most cutting-edge semiconductors. Chips are so complex today that figuring out how to lay out their intricate networks of microscopic circuits is one of the great achievements on which all industry — and social — progress today relies.